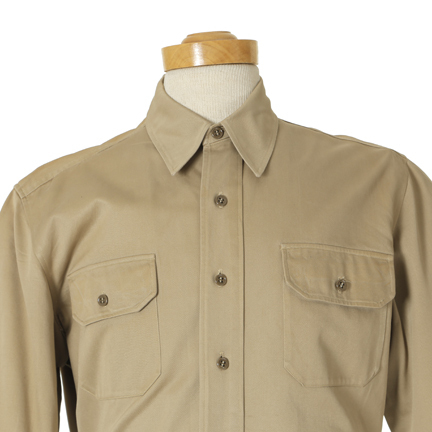 This shirt was worn by the character “Joseph Duncan” portrayed by William Lundigan in “Inferno” (TCF, 1953). 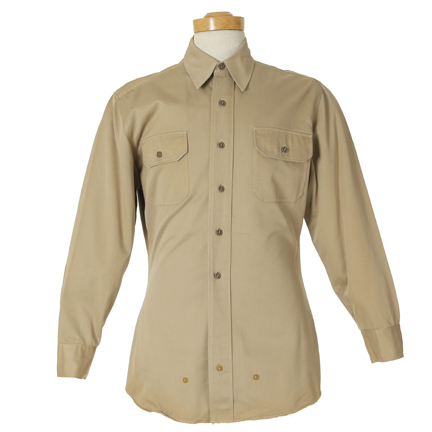 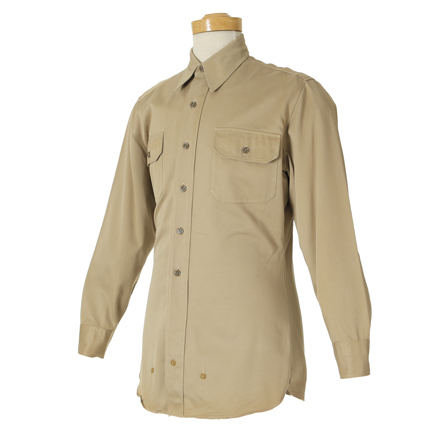 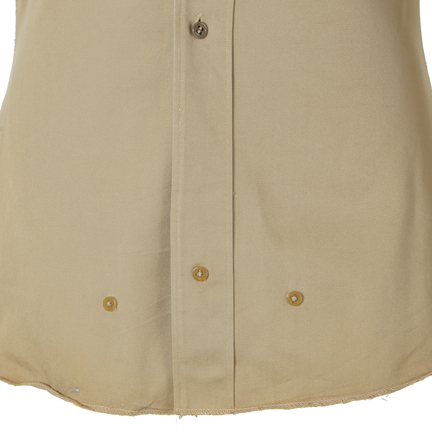 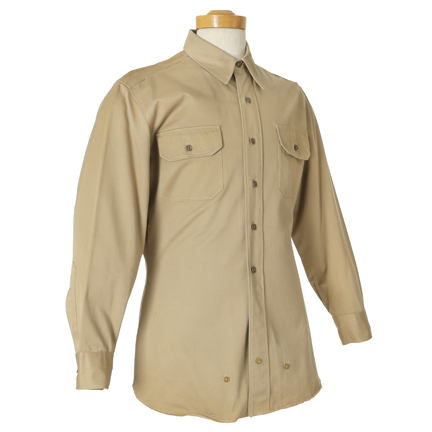 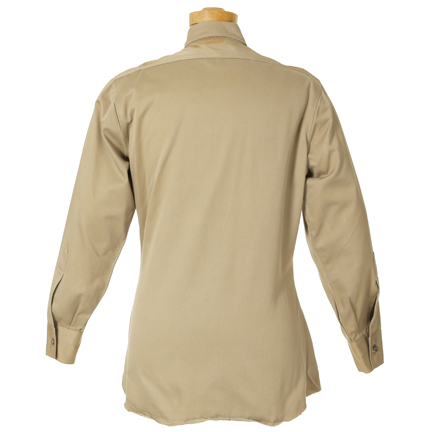 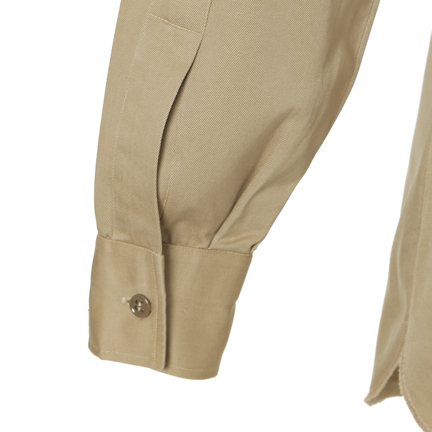 The khaki long sleeve button down work shirt has two flap pockets and pointed collar. 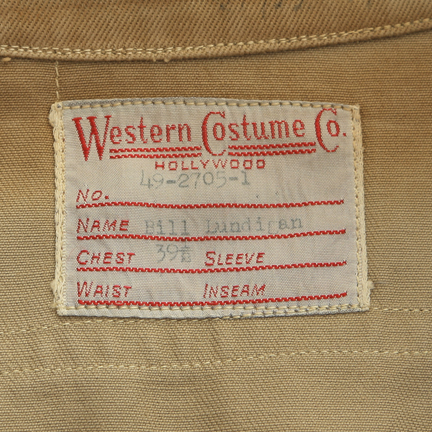 Internal Western Costume Co. label with, “49-2l705-2, Bill Lundigan, Chest 30 ½”) typed in black ink. 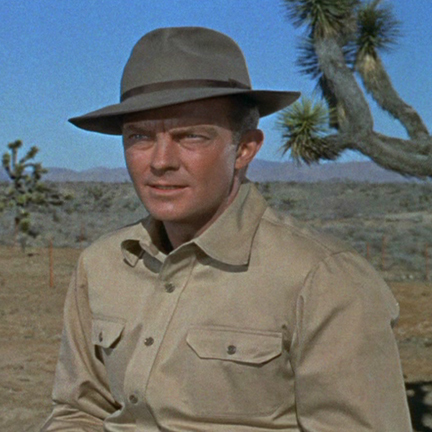 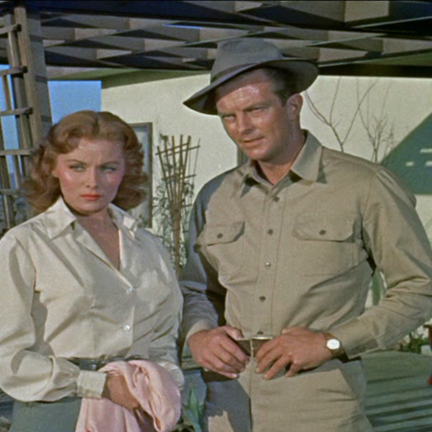 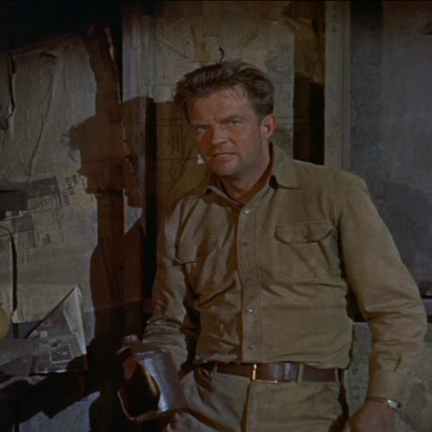 Worn in several scenes including at the beginning when he and Rhonda Fleming “Geraldine Carson” leave Robert Ryan “Donald Whitley Carson III” to die in the desert and when he is killed. 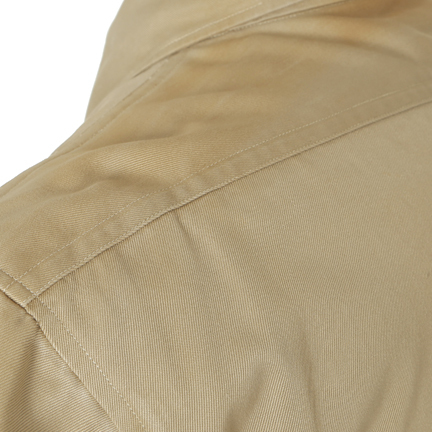 The shirt is in excellent vintage condition and is accompanied by a letter of authenticity from the costume house.